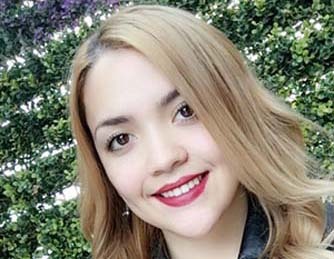 She became a Licensed Aesthetician in 2015 after attending Laredo Chi Academy. Alma chose Esthetics as her career after realizing her passion for helping people feel good about themselves. She realized that women hide behind make-up and wanted to learn how to help them improve their skin from within. Providing comfort, relaxation, and confidence to her clients as a skin care professional is of the utmost importance to her. Alma’s dedication to skincare and her desire to further her education has earned her certifications in chemical peels, microdermabrasion, laser technology, micro-current, micro-blading, and laser tattoo removal all which, maker her unique in her field. She is excited to help her clients change and improve their appearance and looks forward to their next visit as an exciting step on their path to healthy and beautiful skin. After several years in customer service, Veronica decided to pursue a career in esthetics. She completed her beauty education at Laredo Chi Academy, where she graduated and became a licensed Esthetician. Veronica has earned advanced certifications in PCA chemical peels, CoolSculpting, BTL skin tightening, microneedling, microblading, laser hair removal, and microdermabrasion. She has continued to seek knowledge in other areas of esthetics in order to stay relevant throughout her professional career. Her commitment to clients involves an integrated approach to skincare, believing that beauty is created from the inside out. Her “big picture” approach combines customized treatment plans with individualized skincare regime to nourish and maintain healthy radiant skin. 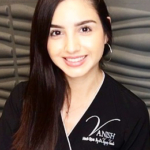 She believes that the medical technology and array of services offered at Vanish Medi-Spa propel a revolutionary movement in the cosmetic industry. She works hand-in-hand with our medical director, Dr. Jose Vazquez at our sister business, Advanced Institute for Women’s Health, as a registered nurse. 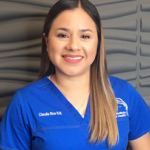 Claudia has been a nurse for 10 years and has accumulated an abundance of experience. She became certified in injectables to administer Botox and dermal fillers. Where she now shares her passion and skills as a aesthetic injector. She understands the scientific skin care and enjoys the satisfaction of helping transform a complexion from trouble to beautiful. Known for her calm, gentle touch, clinical expertise and her artistic eye.